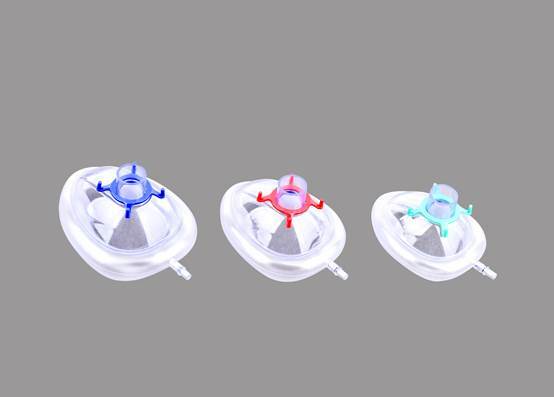 Anesthesia Face Mask for Neonate are available in several sizes to accommodate most patient's needs. The port on each mask is designed to provide a secure and leak-resistant connection with the other components of the breathing circuit. All face masks are single use, helping you economically control cross-contamination. The mask has clarity allowing a clear view of the patient. Anesthesia Face Mask for Neonate are available in several sizes to accommodate most patient's needs. The port on each mask is designed to provide a secure and leak-resistant connection with the other components of the breathing circuit. All face masks are single use, helping you economically control cross-contamination. The mask has clarity allowing a clear view of the patient. With the proficiency of this field, we are capable to present an extensive range of Anesthesia Face Mask for Neonate. If there is any problem, please feel free to contact us, we will solve it without delay.